A Natural Salt scrub containing rose petals to stimulate renewal of the skin. Through this action, it refreshes the new skin and stimulates blood circulation. 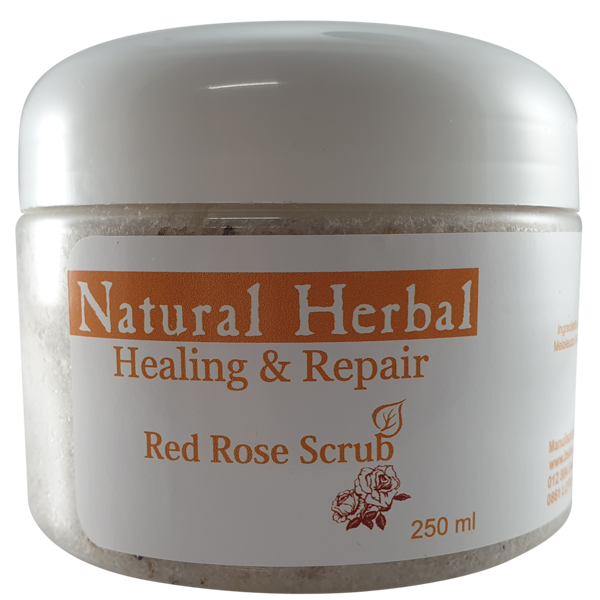 Healing & Repair Range Red Rose Scrub contains Sea Salt which is known for it’s cleansing and exfoliating effect on the skin. It removes the old skin cells, thereby stimulating an increased cell turn over. This enhances the overall appearance and smoothness of the skin. Salt also acts as a natural disinfectant on the skin. Apply to moist skin and move in circular motions. Rinse with lukewarm water when complete.